Dust connects to you in the most sensitive tactile way. Dust is in the air you breath, and is the matter you are connected with, through your skin all day long. However dust seems to be an abstract problem, that is not visual, and therefore does not feel like an issue of concern. This needs to change because the fine dust we breath is lowering the quality of our life’s and is very bad for our health, and shortening our life’s. I started a research about fine dust, and tried to gather stories that tell about the consequence fine dust has on humans in a personal tactile, poetic way. Part of this research is gathered in a presentation and tells in contrast to all sorts of studies concerning dust not the numbers and graphics, but about these stories of dust. 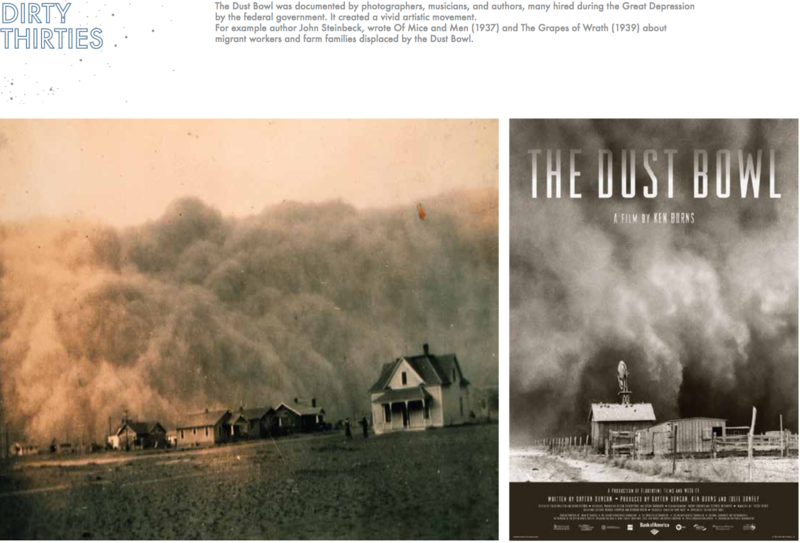 (Historical, Cultural, Industry) Story telling about dust creates awareness. It also rises the question if we are living in such a dusty time? And questions if there are benefits from dust? These stories form a dusty inspiration-base. This lecture was given at among others DMY-Berlin Open Talks 2012 and CONVERSAS. 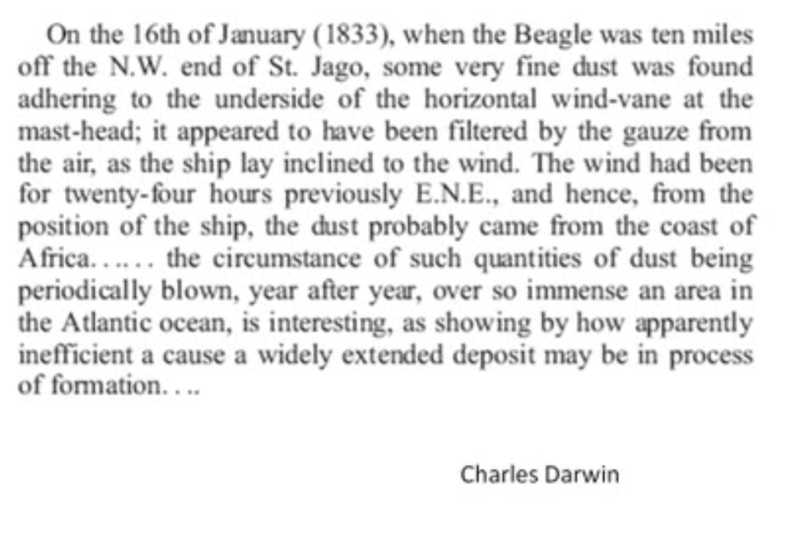 Charles Darwin collected dust that he found on the `Beagle`. He was amazed to find this dust in the middle of the ocean, and was wondering how this dust could have traveled so far. 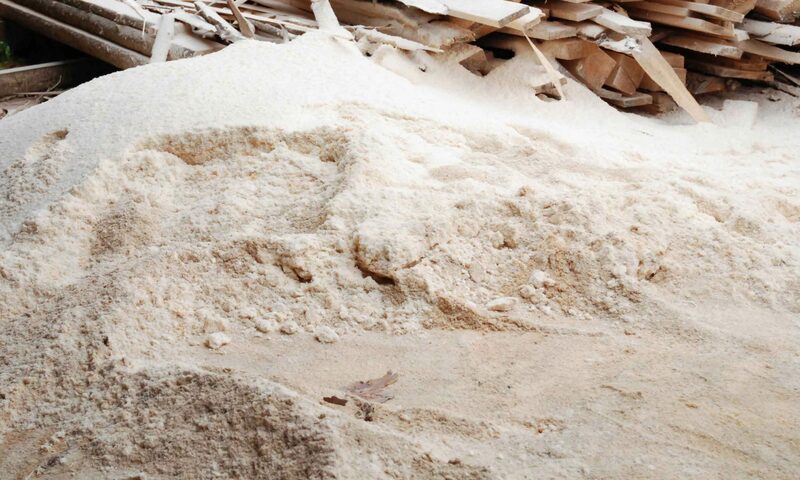 Samples of this 200 year old Darwin´s dust remained and resulted in a research about the origin of this dust. In the research the scientist discovered the consequence it has on planetary microbial ecology. Microbes (bacteria and fungi for example) get attached to the dust particles and are able to travel long distances from the Sahara to the Amazon. This research gives an understanding in intercontinental spread of micro-organisms on land and in the oceans. Dust plays a very important role in the ecological system on earth! Another story that show the impact of such small particles on a global scale is the story ‘year without summer’. Volcanic dust that is released during a volcanic eruption can have enormous effect worldwide. The dust particles can block the sun light, causing a temperature drop during a period of time. 1816 Was the ‘year without summer’, due to an eruption of an Indonesian volcano. This resulted in snow in the summer in Europe. 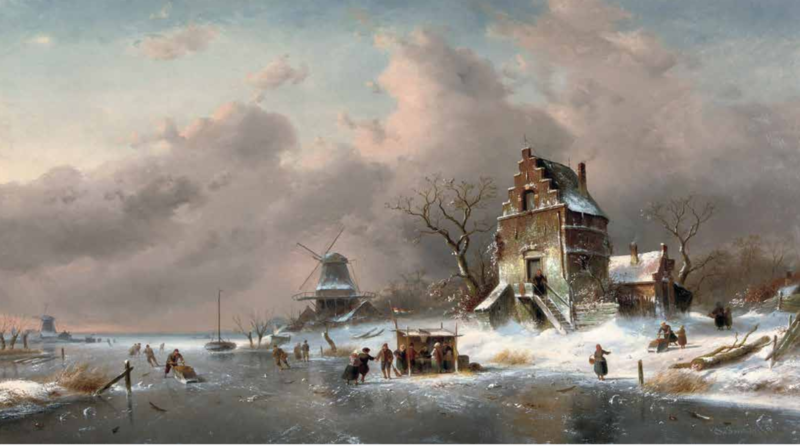 The lower temperatures caused bad harvest and food shortage and global famine. The perfection of the invention of the bicycle, became necessary due to the food shortage, since there was no food for feeding the horses, so other ways of transport became necessary. The dust in the air also resulted in beautiful orange sunsets (painted by JMW Turner). The color of the sunset is influenced by dust in the air.